While other cities in Texas are known for space exploration, kolaches, and live music, College Station has a well-earned reputation for its enthusiastic support for our nation’s armed forces, especially our veterans. After all, College Station happens to be home to Texas A&M University, which produces more officers than any institution besides the military academies and maintains a 2,000-member Corps of Cadets. More than 1,400 veterans were enrolled at the university last fall. That makes College Station a natural venue for a Memorial Day weekend event designed for Texans to pay their respects and honor the servicemen and women who sacrificed their lives for our country. 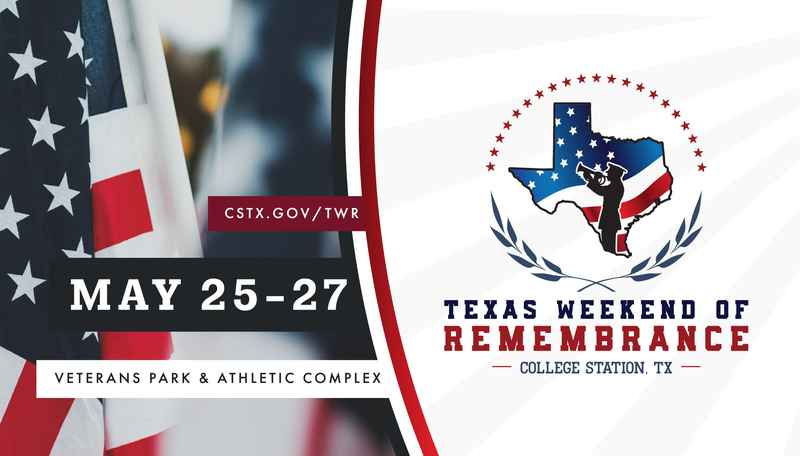 The inaugural Texas Weekend of Remembrance will be May 25-27 (Friday-Sunday) at Veterans Park & Athletic Complex. Our goal is to grow the event into an annual Memorial Day mainstay for military members, veterans, their families and the public to remember the fallen. The commemoration begins Friday, May 25 with softball and flag football teams dedicating their competition to fallen soldiers. The tournaments are coordinated by Heroes Sports, an organization that supports service members and veterans by providing ways to maintain active lifestyles, bond through teamwork, and become active in their communities. The weekend officially starts Saturday with opening ceremonies at 10 a.m. The schedule includes a motorcade, parachute jump, presentation of colors, rifle salute, and roll call with a ship bell from the USS Kearsarge, which served in World War II, Korea, and Vietnam. Brig. Gen. Joe E. Ramirez, Jr. (Ret. ), commandant of the Corps of Cadets, will provide opening remarks, and Maj. Gen. Paul T. Calvert of Fort Hood will give the keynote speech. Since good music has a unique way of bringing people together, we’ve invited some outstanding artists to entertain our visitors. Saturday’s opening act (6 p.m.) is the Scooter Brown Band, which will be followed by Joe Nichols and Jamey Johnson. On Sunday beginning at 2:15 p.m., Cody Wayne and Aaron Watson will perform. Before Sunday’s concerts, join us at 8 a.m. for the kid’s mile fun-run and the 5K run/walk. All proceeds will benefit Brazos Valley Cares for the support of veterans and their families who experience financial hardship. After the races, a free breakfast will be provided by the West End Elixir Company at the American Pavilion. Chaplain Benjamin T. Mayhugh of the U.S. Coast Guard will be the speaker. Concessions will be available for purchase throughout the weekend, with part of the proceeds donated to the Texas A&M University Veterans Resource & Support Center to assist with scholarships. No outside food, drinks or pets are allowed, but you may bring plastic water bottles. Ample parking is available on-site. The Texas Weekend of Remembrance embraces the tradition and history College Station is known for by highlighting Memorial Day weekend events and related facilities around the community. For a complete schedule of events and other information, go to cstx.gov/TWR or call 979-764-3486. Tourism Events Supervisor Gabby Salazar is in her third year with the City of College Station. Before joining the city staff, she was the night manager at Texas A&M’s Reed Arena. A product of A&M’s sports management program, Gabby earned her bachelor’s degree in 2014 and is working toward her master’s. 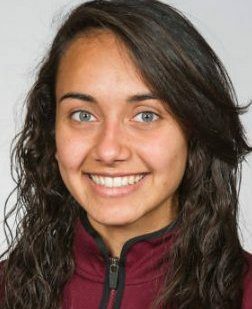 A native of Alamo, she was also a member of the Aggies’ nationally-ranked track and cross country teams.